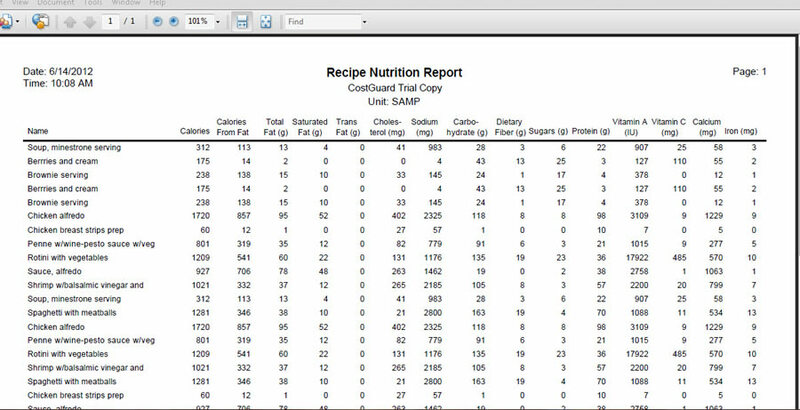 Nutrition provides an instant nutritional analysis of all your recipes, including trans fats. Each ingredient can have multiple sub-allergens, which will print on your label. The format is the same one used on retail packaging, instantly understandable! The USDA database #23 is included. 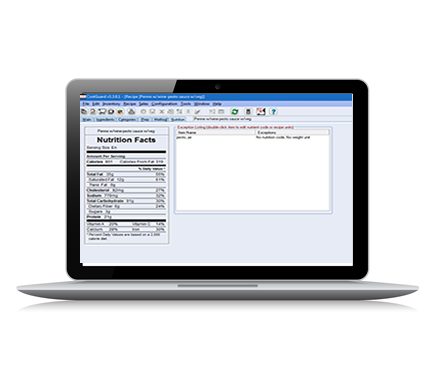 A simple ‘point and click’ assigns a USDA item to your inventory item. 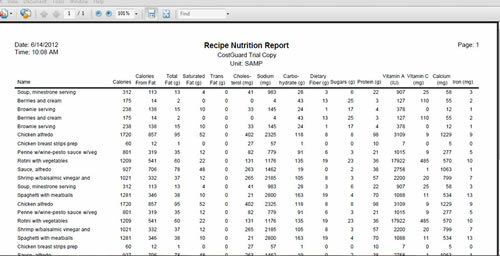 Unlike a leading ‘chef’ software package, YOU DON’T HAVE TO ENTER THE NUTRITIONAL INFORMATION MANUALLY.